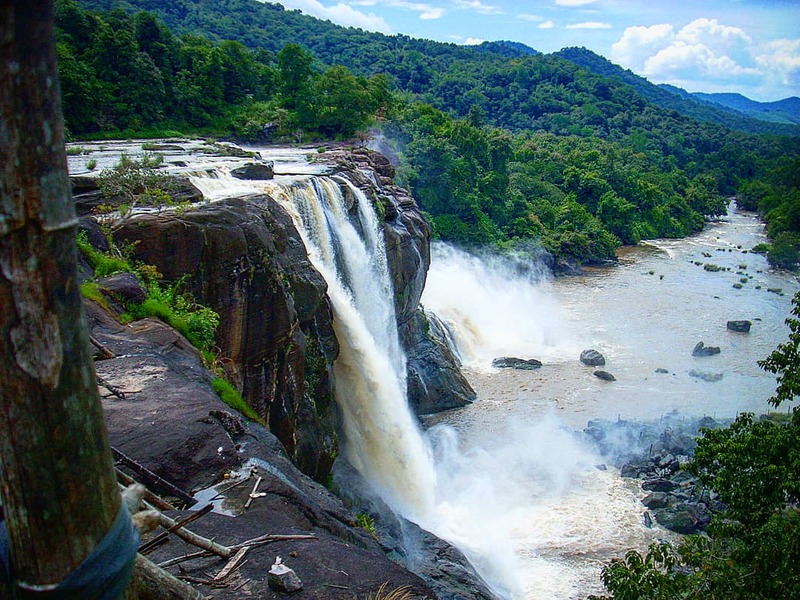 There are some places in India that have a bit of resemblance to the world’s largest tropical rain forest- the Amazon, one of them being the southern state of Kerala. 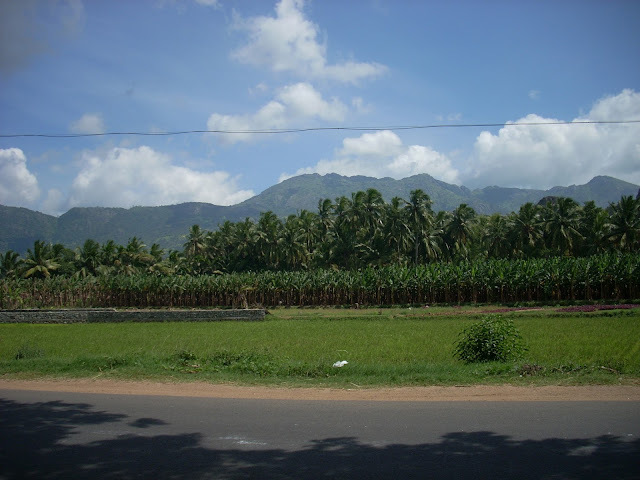 Coast on the west and south and dense forest-covered mountains in the mainland- that is the topography of Kerala. If you’ve ever dreamt of Warm sandy beaches, calm backwaters cutting through villages, chilly hill stations and reverberant waterfalls; well, Kerala has them all! Here are 5 picturesque must visit places in Kerala for any traveler. 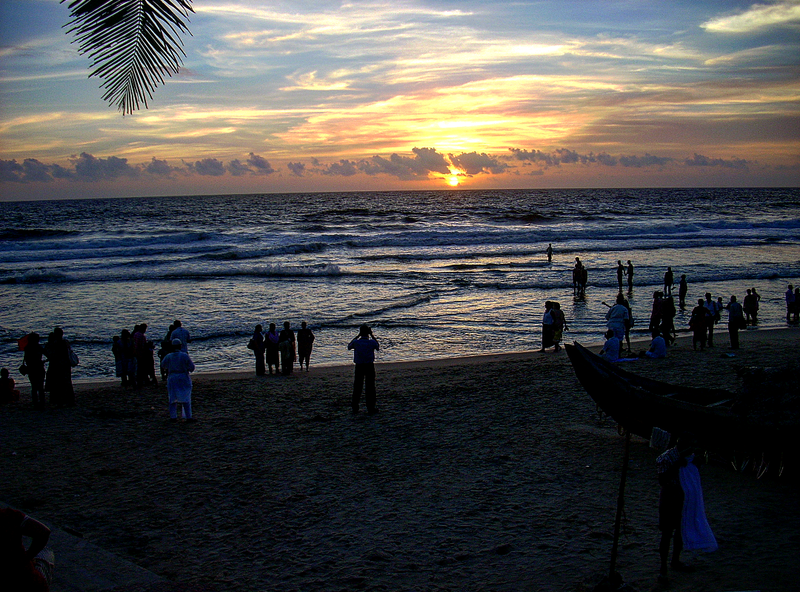 The state capital is home to one of the most scenic beaches in India, the Kovalam Beach. The beach is the optimal place to visit after a tiring train journey or even after a comfortable flight to Trivandrum; sit back, sip some cool water right out of fresh coconuts and feel the atmosphere turn tranquil as the sun dips into the horizon. Isn't it the best place to enjoy nature?! I found some hidden locations off the road that literally left me dumbstruck! The locals were returning home after a tedious and oddly cloudy day. My taxi driver said, "You’ve decided to explore Kerala during the best time of the year. The monsoon is receding, it's lush green everywhere and the humidity has dropped. Have a great time here!" 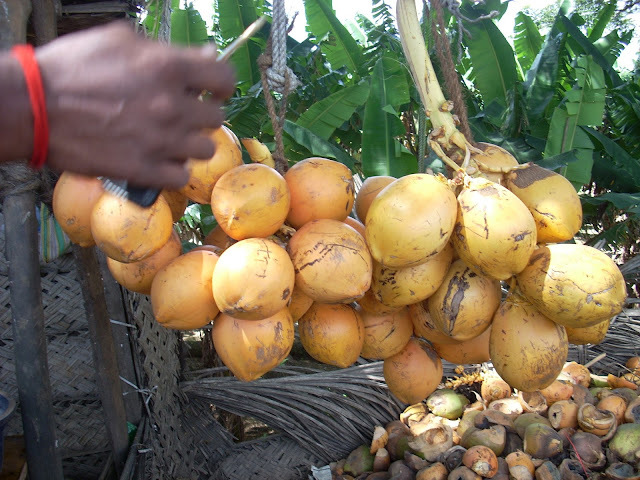 Sipping on fresh coconut water. 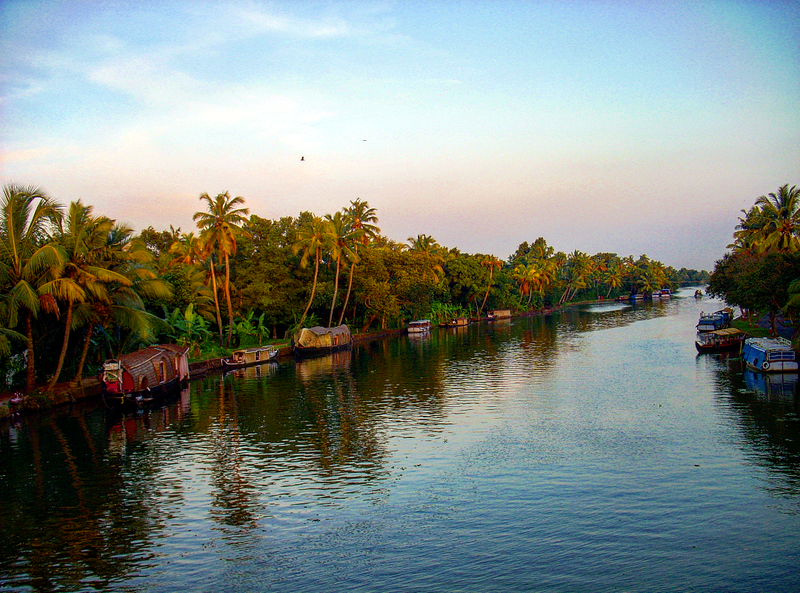 If you want to experience the canals of Venice in India, look no further than Alleppey. 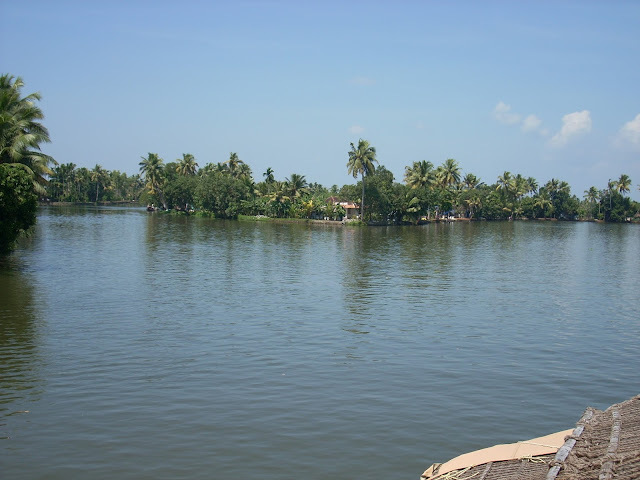 The backwaters of Alleppey (or Alappuzah as it is locally called) are a wee bit identical to to those of Venice. The locals use the water canals for daily transportation to and from work, school, to purchase groceries and even for business. There are many places with mesmerising backwaters in Kerala, but Alleppey is the unrivalled destination amongst them. I am yet to discover a view as pristine as this one! A canal derived from the backwater stream being used for irrigation. This reminds me of Venice; but instead of buildings on either side, there are farmlands. 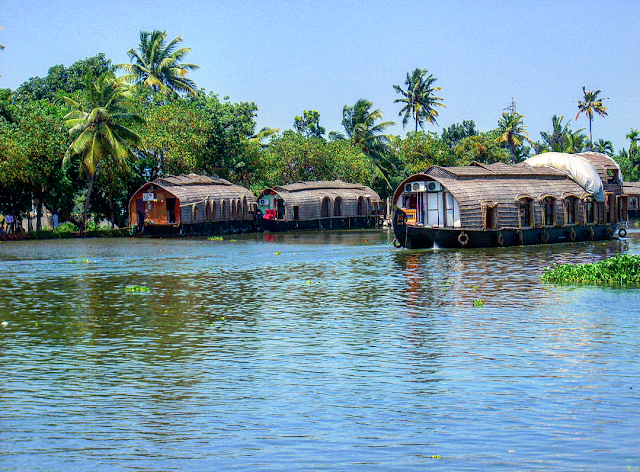 The best and most suitable means to explore Alleppey is in a houseboat. Some people prefer going to the beach but that’s just mundane. What’s the fun in that! I would suggest spending a night in a houseboat (they are well equipped- one can say a floating hotel). 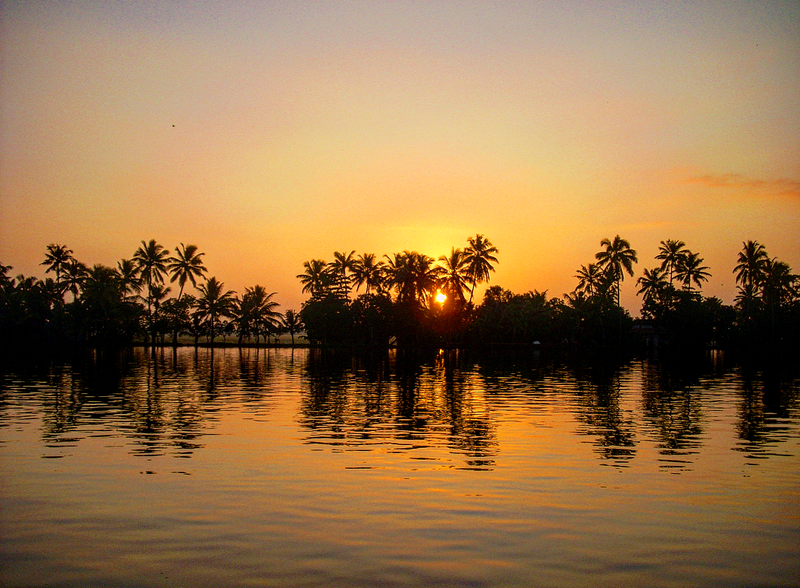 As your captain takes to through the backwaters and into the naturally formed Vembanad lagoon, you will feel enchanted. 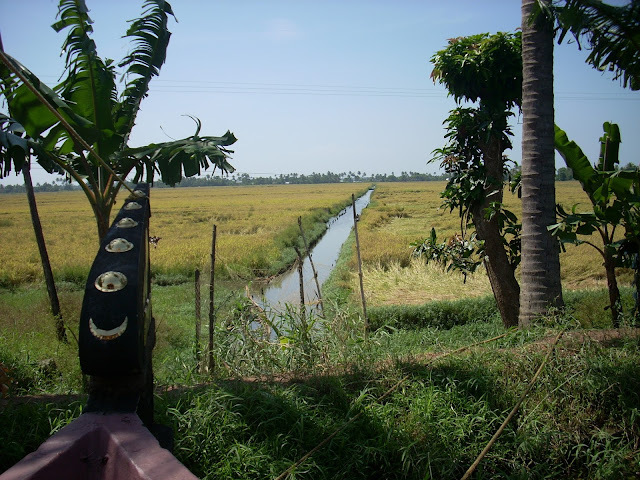 Where the Vembanad Lagoon splits into two rivulets. The main source of income for many families in Alleppey- Houseboats. 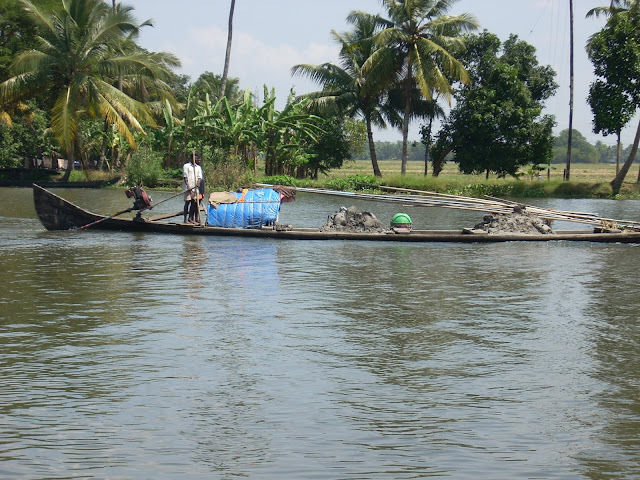 The locals extracting mineral-rich clay/mud from the backwaters. This is another favoured (but a little obscure) places to visit famous for its backwaters. I chose to visit both Alleppey and Kumarakom because I had couple extra days. 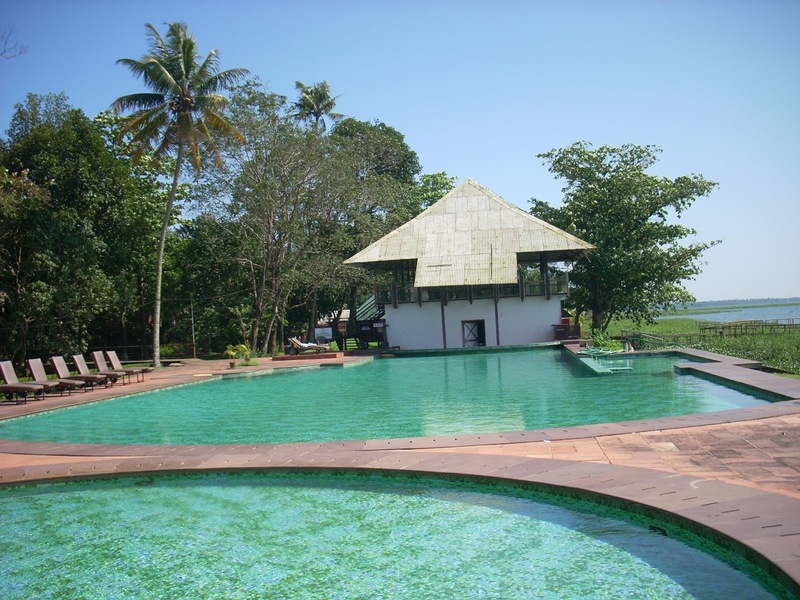 The resorts along the backwaters in Kumarakom are amazing. 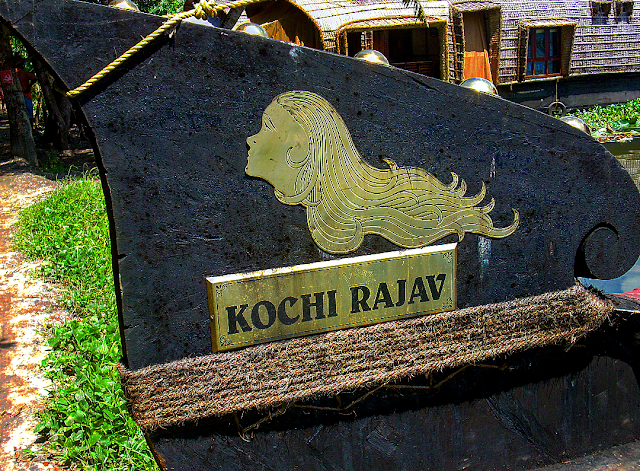 I stayed in one run by Kerala Tourism Development Corporation (ktdc) and I was smitten. 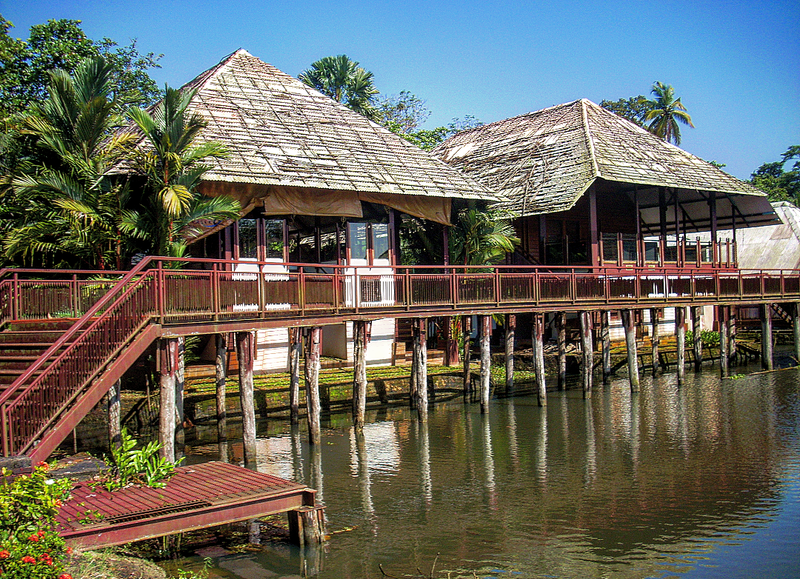 The architecture and planning of the resort was quite interesting; stilts were being used to elevate the height of the structure as a preventive measure against floods. Kottayam, a town not far from Kumarakom is also worth visiting. The St. Mary’s Orthodox Church from the 16th century is a nice place to visit. The resort where I stayed. The entire resort is built on stilts. A true resort indeed. Swimming pool with a view of a lagoon. 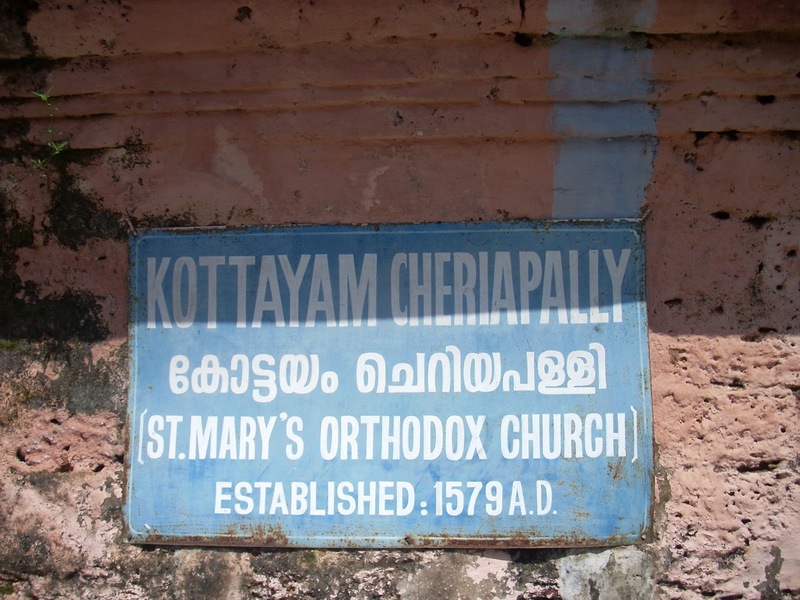 Cheriapally in Malayalam stands for Church. Amongst all the places on this list, Thekkady is the only one you should visit just to enjoy the incredible landscape. 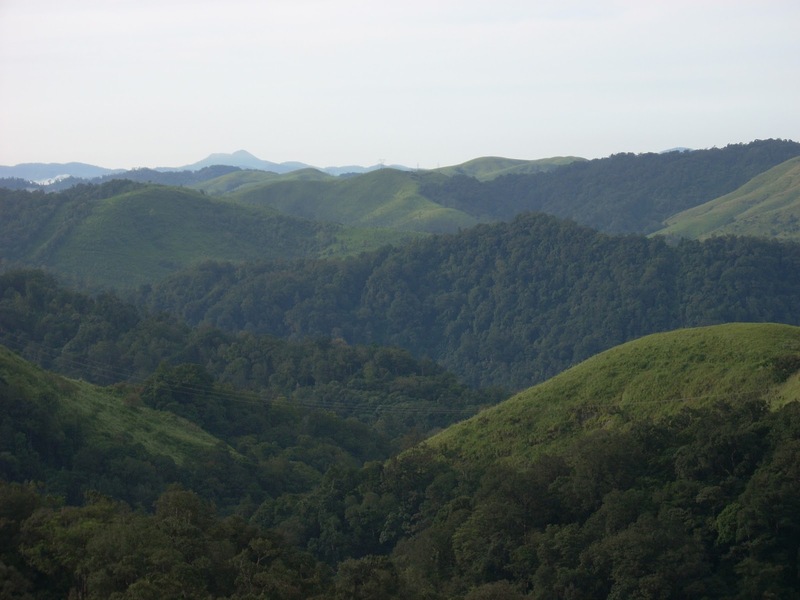 Lush green mountain ranges of the Western Ghats and numerous small but refreshing waterfalls is what one should look out for. The widespread Periyar Tiger Reserve is located in and around Thekkady and is a prime location for animal safaris and treks. 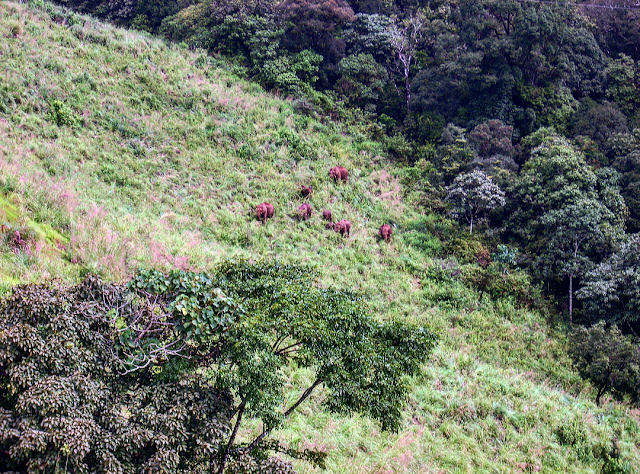 While trekking through the Periyar Tiger Reserve we came across a herd of Elephants. 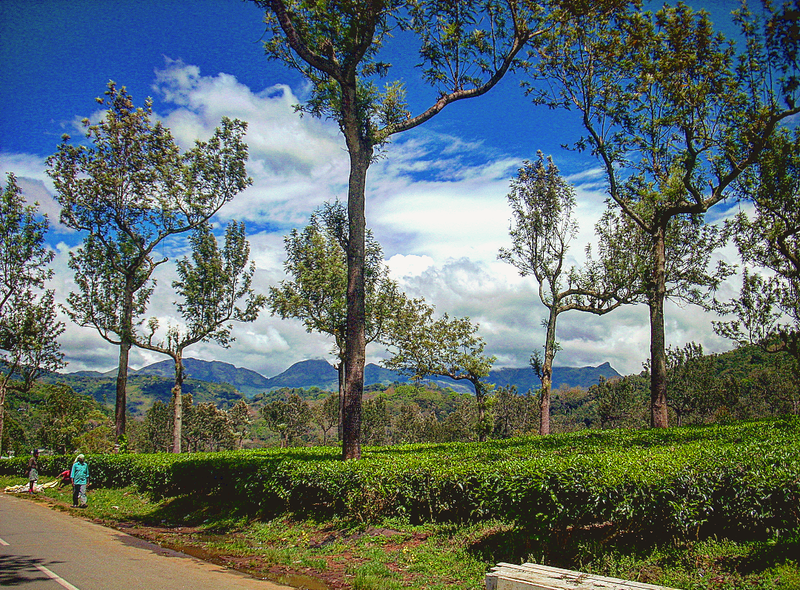 Profoundly known as the Kashmir of South India, Munnar is a great place to chill. 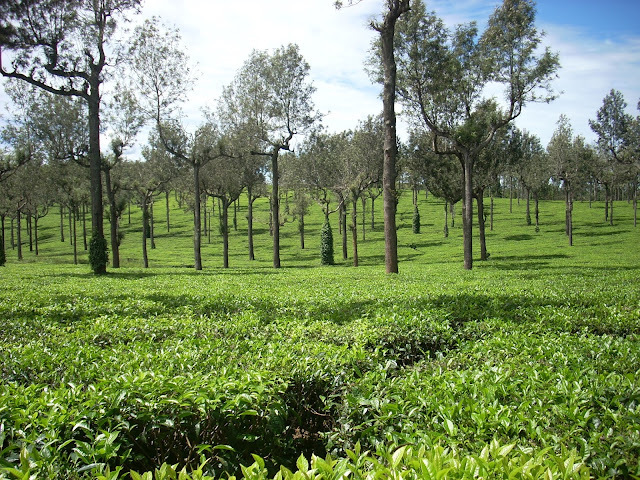 Tea and spice gardens cover almost all of Munnar. A tour of the tea plantations can re-energise you (if the weather complements the scenic backdrop, it’s like icing on the cake!). Well, frankly there isn’t much to do in Munnar; just sit back, relax in the cool soothing weather and get a nature’s detox which clears your mind of all the stress and worries. Yes, some more tea gardens! They are everywhere. 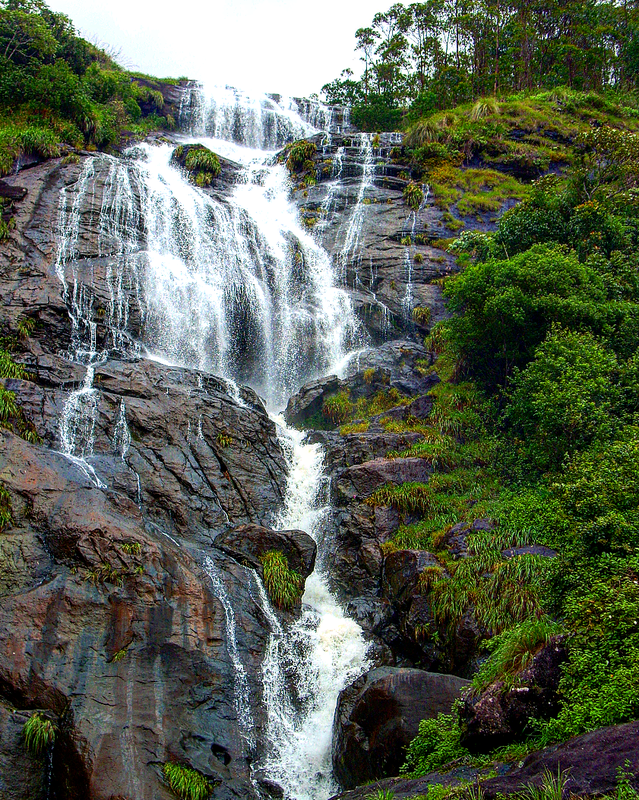 Athirapally Waterfalls situated a couple hours away is worth visiting. The clangour of water falling down 25 metres is deafening. Having a conversation by the waterfall will probably be inconvenient. My visit to Kerala was exquisite. I truly got to experience the culture and perceive nature without any intrusions. It is, without a doubt God's Own Country! What aspect of Kerala left you transfixed?